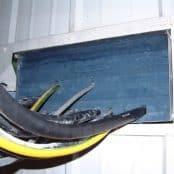 Duct seals and sealing systems protect against water ingress, gas escape and spread of fire through cable duct and service entries into substation basements, cable vaults, switchrooms and access man-holes at low, medium and high voltage electricity distribution networks. CSD RISE Duct Sealing system ensures an effective and reliable response to the requirement for gastight, watertight and fire resistant duct sealing – the CSD Sealing System features 2 components i) rubber insert sleeves and ii) FIWA a silicone based, fire resistant, water resistant sealant. CSD duct seals are available for offshore applications such as Naval Surface Ships and Submarines, Oil & Gas Exploration, Commercial Marine, Luxury Yachts and Offshore Wind Farms. They can also be used for onshore applications including Water Utility, General Industrial & Construction, Power Generation & Distribution, Nuclear, Onshore Wind Farms, Oil Refinery and Gas Storage (ATEX Compliant), Motorway Infrastructure, Telecommunication Network, Pharmaceutical, Petrol Forecourts and Rail. 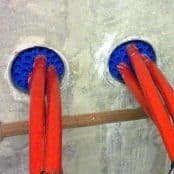 CSD RISE duct seal products have become specified and adopted by UK and international utilities to provide watertight, gastight and fire resistant duct sealing to medium/high voltage cables and ducts protecting electrical equipment and substations from flood damage, corrosive gas and fire/flame damage. 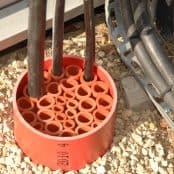 The seals provide high levels of protection of 11kV/33kV cables entering substations through underground Class 1 and Class 2 cable ducts. 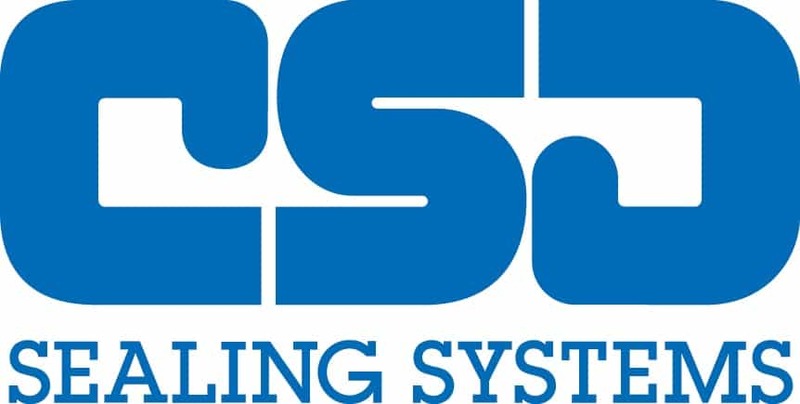 The following video demonstrates the installation process of the CSD RISE Rapid method of sealing cable ducts and pipe penetrations or entries against water, gas, fire and rodents. 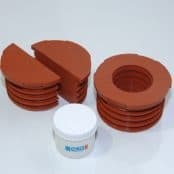 Thorne & Derrick provide competitive prices and fast delivery from stock for the complete range of CSD duct seals – this includes CSD RISE, RISE RAPID, NOFIRNO, ACTIFORM and SLIPSIL products.